Wow! We've had amazing projects all week! Today, is no exception as we bring you, Joy Dickson's clever take using Halel & Ruby products! Hi Friends! 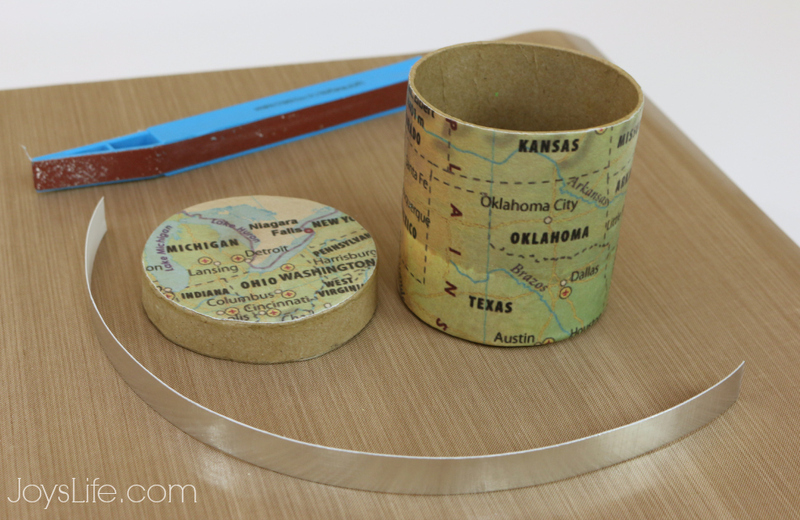 It's Joy from Joy's Life.com here today making more crafty things using the Cut'n'Boss! Today I'm using "Maps of the World" lightweight paper by Hazel & Ruby to help me create this useful (and road trip travel inducing) map box. I LOVE this map paper. I chose to focus on the South as much as possible (with some Northern spots on top) because I'm a Southern girl. 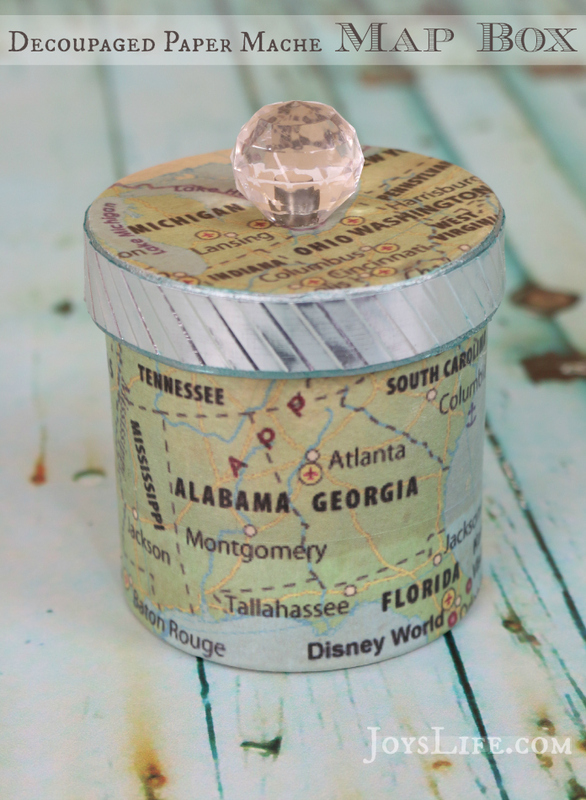 I'm also using antique Mod Podge, a round paper mache box, 7Gypsies clear crystal ball knob and American Crafts silver foil cardstock, to start. 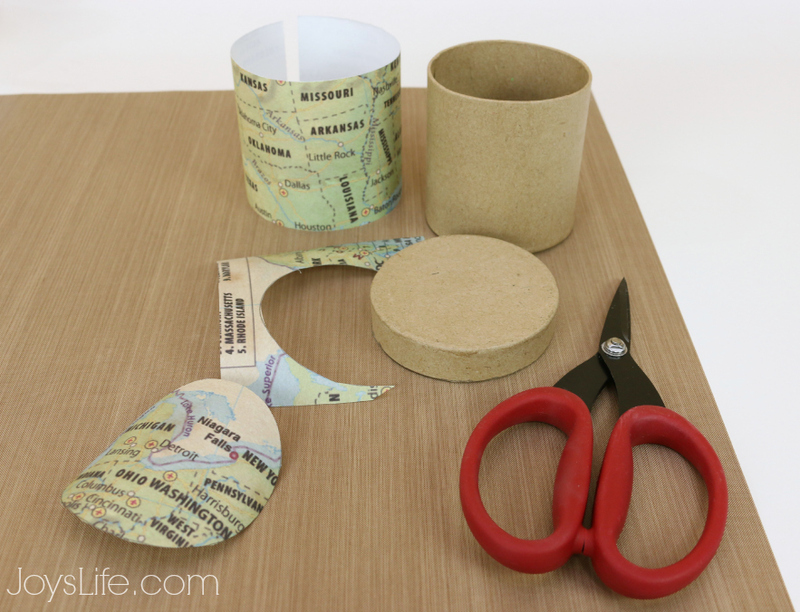 I traced the box lid onto the map paper, measured the rest of the box and cut the pieces out. 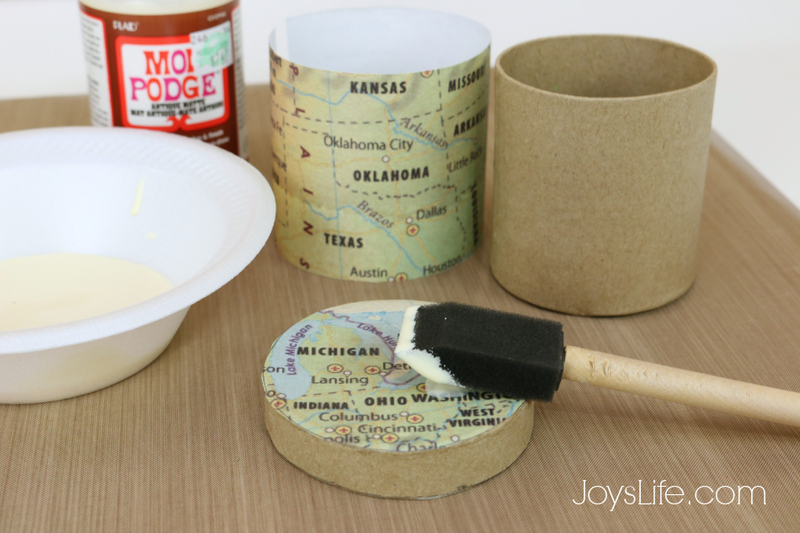 I added Mod Podge to the top of the lid, added the paper and then added more Mod Podge. I cut a strip of the foil cardstock so it would fit around the top of the box. Now to emboss it! I ran the foil cardstock through the Cut'N'Boss using the Teresa Collins Twill Herringbone folder. It turned out great! 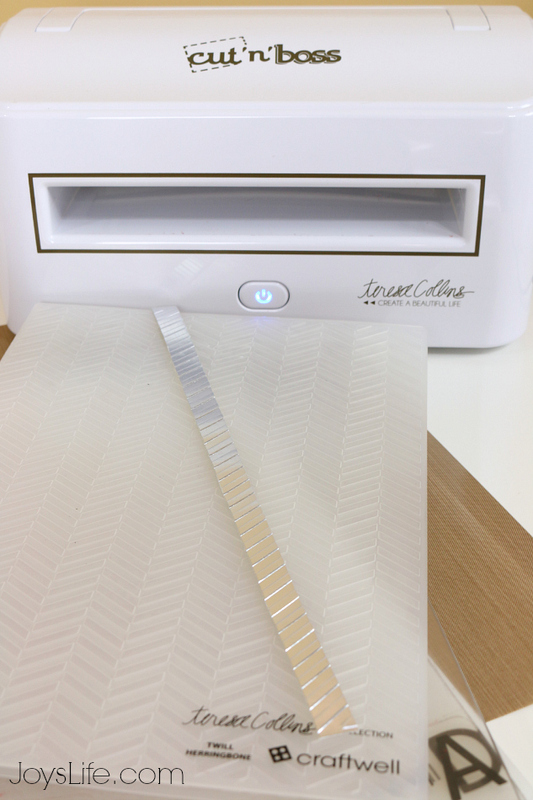 This is one of those times that I'm extra grateful to have those huge embossing folders. The foil fit just fine! I painted the edges of the box lid with FolkArt Silver Metallic Paint. Next, I punched a hole in the center of the lid and added the 7Gypsies clear crystal ball knob. I glued on the embossed foil cardstock and gave a touch of blue to the silver metallic painted edges using a cobalt green Big Brush pen by Faber Castell. 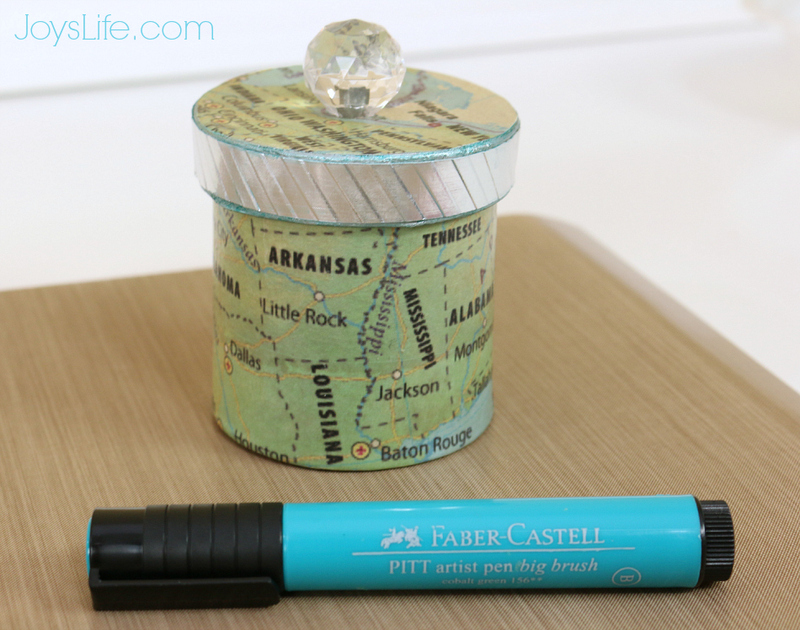 This cute box inspires me to get on the road and go somewhere! I hope you liked my project! 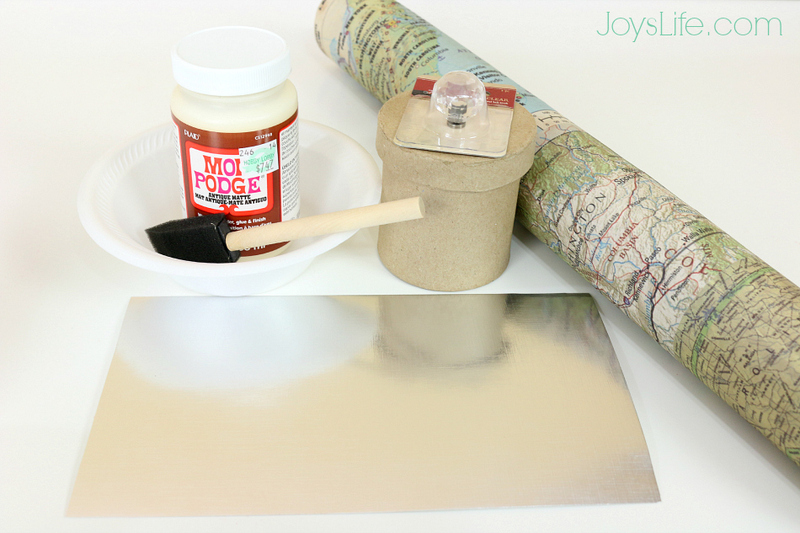 Be sure to stop by Joy's blog for all things crafty!